The networking giant Facebook made its first acquisition in India by acquiring Bangalore-based startup Little Eye Labs. Little Eye is a tool that helps Android app developers to measure, analyze and optimize their apps. As per the report by The Times of India the entire LittleEye Labs team will move to Facebook’s headquarters in Menlo Park, California, where they would leverage the social networking giant’s infrastructure to improve the performance of their apps. 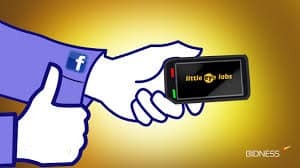 “Little Eye Labs will join forces with Facebook to take its mobile development to the next level! This is Facebook’s first acquisition of an Indian company, and we are happy to become part of such an incredible team,” the company said in a note on their website. The Bangalore-based startup was founded in May last year by four programme analysis geeks – Giridhar Murthy, who worked at Apple earlier, Kumar Rangarajan, who has worked at IBM and HP, Satyam Kandula, an IIT Kharagpur alumnus and ex IBMer Lakshman Kakkirala.